PURCHASE Plus Improvements: Perfect for those looking at buying a fixer-upper, a Purchase Plus Improvements Mortgage covers the sale price of the home, plus the cost of any renovations that will increase the value of the property, up to $40,000. Then you can look at financing up to 95% of this future post-reno value. If you’ve found a house with “great bones” that can be renovated into the home of your dreams, then this is the mortgage that can make those dreams come true. REFINANCE Plus Improvements: Tailor-made for those that don’t have enough equity to refinance, the Refinance Plus Improvements Mortgage allows you to finance up to 80% of the improved value of your home once the up to $40,000 in home improvement renovations are completed. Your lender will advance the total mortgage, pay off your existing mortgage, and instruct the solicitor to hold back the amount for the improvements. Once the lender is satisfied the renos are complete, the solicitor is instructed to release the funds for the renos. There are options we can discuss for carrying your expenditures until the funds are released. Should you have more than 20% equity in your current home, you may be able to simply do a conventional refinance and take out the equity you need. It’s almost always better to protect your savings, keep large expenses off your credit card, and simply access funds through your mortgage. 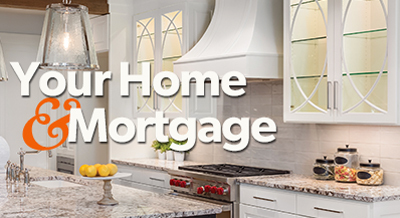 I can even help structure a mortgage with features to help you pay your project off faster – for more savings. There are several steps required to complete these types of mortgages and I would be happy to review the process with you. Let’s make your dream a reality! If you still need help qualifying, we can discuss having a parent cosign the mortgage with you, which is very common with millennial homebuyers. I’m here to help, so get in touch for answers to all your questions!